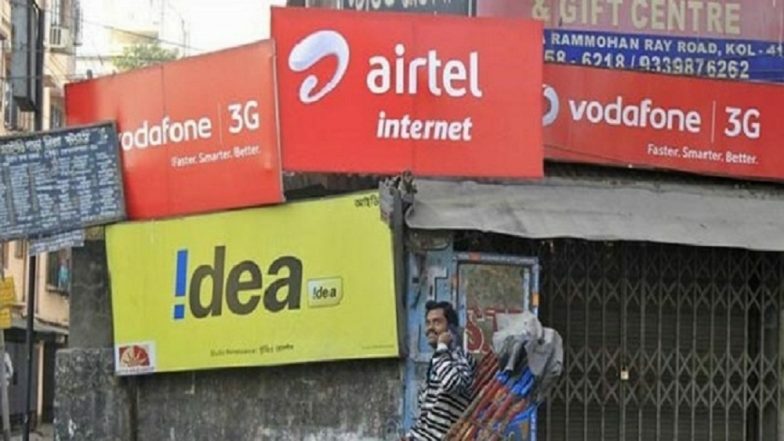 Kolkata, April 16: Major telecom companies have come up with curated election sections in their TV apps to ensure that the subscribers do not miss out any update related to the ongoing Lok Sabha elections in the country. The telecom operators such as Jio, Airtel and Vodafone are leaving no stone unturned to ensure that people stay glued to their mobile screens till the polling process is over. An official of a telecom company said Tuesday that the curated content from various sources on the elections to make sure that viewers do not have any trouble while looking for poll related news. Airtel TV app has created a special 'Election 2019' section for poll related updates from across the country for its subscribers. Reliance Jio Continues Its Dominance Over Airtel, Vodafone Idea; Adds 85.6 Subscribers in December. The special section has content from different news channels like Live News TV channels, short news bulletins, collection of top interviews and expert analysis, all on a single screen, the company's official said.- "Whats more there is also is a special Election tab on the Airtel TV home screen more quick one touch access to the section," he said. General elections in India are of high interest and people are constantly looking for news and analysis related to the event," the Content & Apps CEO of Bharti Airtel, Sameer Batra, said. "With Airtel TVs special election section we have made the app the one stop shop for all election related updates curated in convenient and able format," Batra said. Similarly, JioTV is offering a wide range of 190 plus news channels in 15 languages. Vodafone too has also come up with a special section of news channels for subscribers to catch all election-related action. TRAI Imposes Up to 34 Lakhs on Jio, Airtel and Vodafone Idea LTD for Poor Service Quality in Q1. The operators are also on the social media platform such as in Twitter to offer updates, insights and poll related informations. The number of smartphone users was put at 404.1 million in 2017 and is expected to double to 829 million by 2022, a report said.